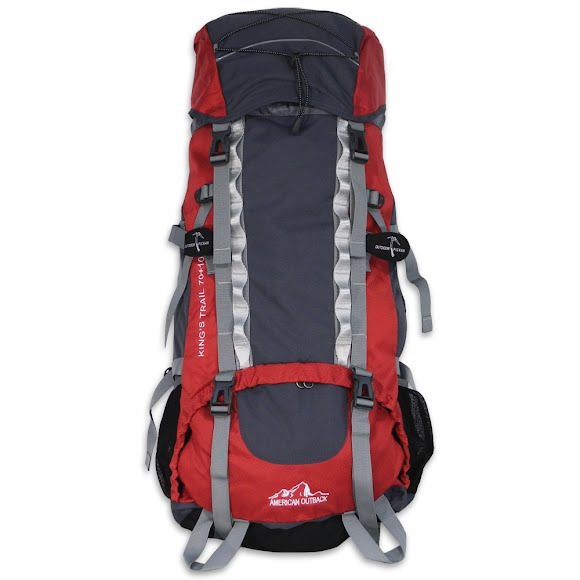 Head into the backcountry with the King's Trail backpack from World Famous Sports that's ideal for multi-day trips featuring huge 70L+10L capacity. Contoured suspension system with padded ventialtion mesh back and shoulders straps for superior comfort and fit. Head into the backcountry with the King&apos;s Trail backpack from World Famous Sports that&apos;s ideal for multi-day trips featuring huge 70L+10L capacity. Contoured suspension system with padded ventialtion mesh back and shoulders straps for superior comfort and fit. Measurements 36" x 18" x 14"